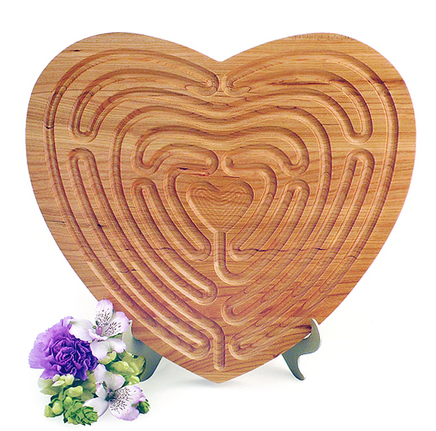 This original 14" carved maple 7-circuit labyrinth was designed and developed by Whitney following a request for a classic outdoor labyrinth for a wedding. 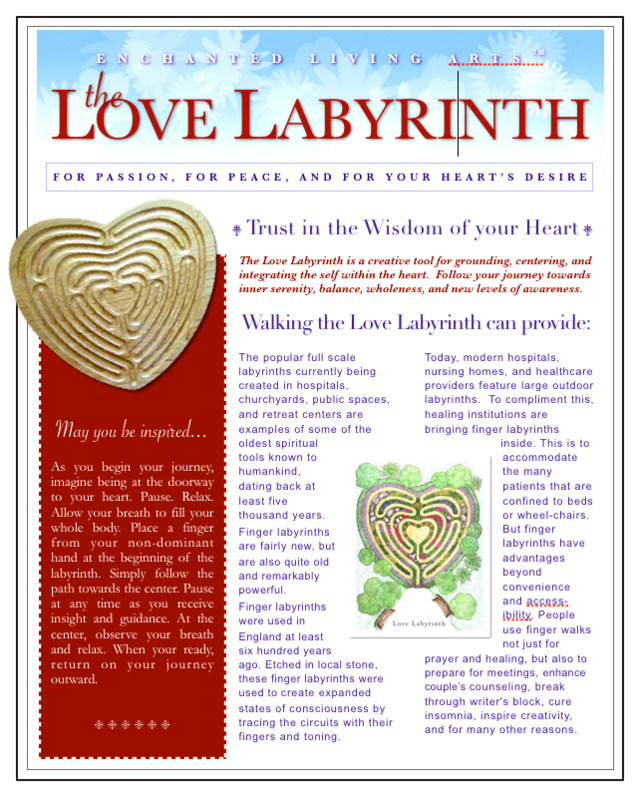 The Love Labyrinth™ incorporates the true sacred geometry of the classical 7-circuit labyrinth that dates back 5,000 years. Handcrafted by a family owned business in the U.S., the beautiful maple wood is cut from native species using sustainable harvest methods, and hand finished in a matte satin varnish. Labyrinth comes with a 8" brushed metal display stand. and commercial installations. Contact me for details on limited exclusivity use. "I have never seen a wood labyrinth as beautiful as this. It is perfect!! Thank you so much. I know the happy couple will love it. You are truly an artist." 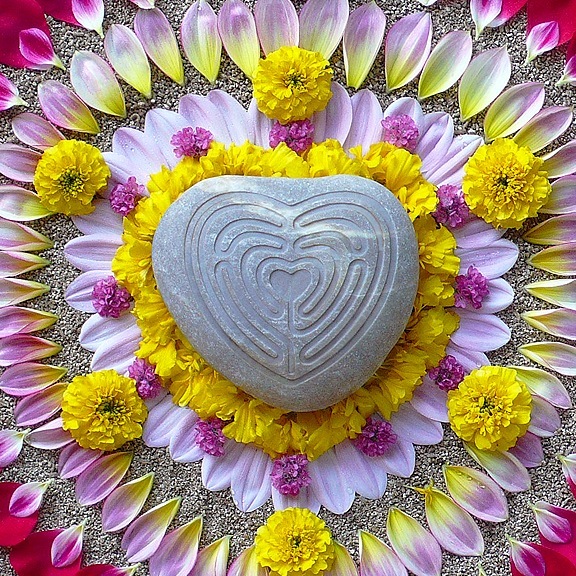 The now familiar labyrinths being created in hospitals, churchyards, public spaces, and retreat centers are examples of one of the oldest spiritual tools known to humankind, dating back over five thousand years. Finger labyrinths have been found going back at least five hundred years in Cornwall, England. Etched in slate, these small labyrinths were used to enter expanded states of consciousness by tracing the circuits with one’s fingers and humming. 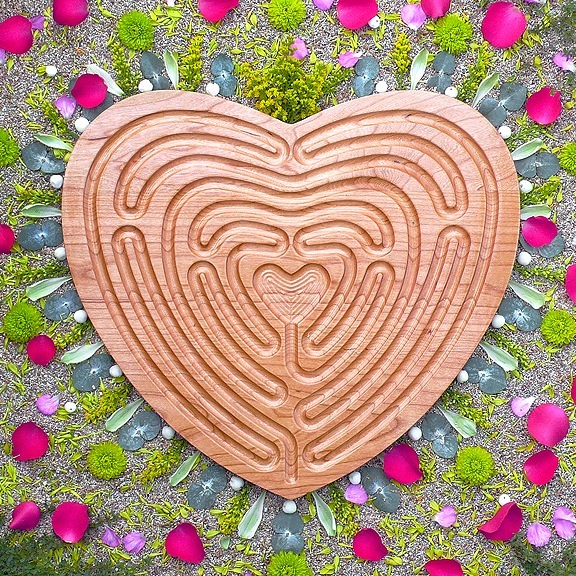 While modern hospitals and nursing homes now offer unique outdoor labyrinths, many more healing institutions are bringing finger labyrinths indoors. One reason is that many patients are confined to beds or wheel-chairs. Finger labyrinths have advantages beyond convenience and accessibility. People can use “finger walks” for prayer and healing, to prepare for meetings, to enhance couple’s counseling, to break through writer's block, inspire creativity, and for many other purposes.